Mike and Steve are in love with Owen. The song is the end credits music to a movie called Buckaroo Banzai. This is by far my most favorite episode to date. I've never laughed so hard in public before. You guys are amazing! 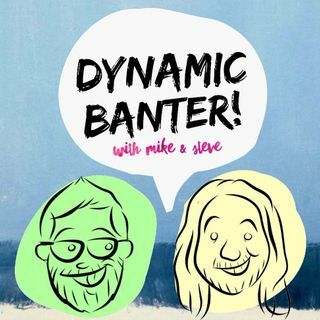 Sometimes when I listen to this podcast I worry that Steve may be having a literal stroke. Isn't that music from Super Mario Sunshine or something similar? I swear I've heard it before. Steve PLEASE, I NEED to know the name of that song you played throughout the podcast! Give a like for Rob "Badfriend" Fee everybody.